2.) First-Class Drivers: Our chauffeur service is extremely safe, professional, punctual, knowledgeable and helpful. 3.) Impressive Fleet: Our partybus & limo rentals are always reliable, flawless & cleaned impeccably. 4.) Contemporary & Classy: Our vehicles have the most current technology (DVD, Moonroof, Television, Snacks, Plush Leather, etc.). 5.) Pampered Lifestyle: We cater to all of your special requests and will stock the limo or bus to your every whim until you are completely satisfied. 6.) Nationally Accredited: We have received multiple recognitions for our outstanding services. 7.) Multiple Options: We have many limos and party buses to choose from based on the size of party. 8.) Expert Business: We have multiple years of experience in providing classy limo service. 9.) Lowest Prices: Our limousine service has the best rates available at the lowest possible cost. 10.) Satisfaction Guarantee: You will book a limo or party bus again after just one experience with us. ​“﻿﻿﻿ALL ABOA﻿RD﻿﻿” Come enjoy an adventure of a lifetime with the one of a kind, Lewisville Limousine. There ﻿is no limit to the fun and excitement you can have with our wide ﻿range﻿ of limos and party bus﻿ ﻿serv﻿ic﻿es! Lewi﻿sville Limousine is the only choice when it comes to booking a luxury limousine or a party bus for any number of events in Dallas. No matter what size of party that you are trying to organize to rent a limo, we are positive we can accommodate and cater to your every precise need. Give us a call and put to test our world class limo rental services 972-829-0878. We are sure your experience will be nothing short of feeling like a rock star leaving no detail behind. We take great pride in our ability to meet our customers requests to ensure each and every journey our customers embark upon feels like they actually matter and are highly valued. In a sense you could say we “roll out the red carpet” to help you catch the spirit and vision of being treated like a Queen or King every time you book one of our services with us. Do not delay this opportunity any longer than you have to so you can immediately be treated exactly how you have always dreamed you deserve to be. So whether you are needing our limousine services for a grand entrance, corporate event, basic taxi transportation, car service, romance, graduation, prom or dance, wedding, birthdays (sweet 16), concerts, random night on the town, Holidays (New Year’s Eve or Christmas, etc. ), sporting events (Dallas Cowboys, Dallas Mavericks, etc) or a bachelor/bachelorette party, as well as a Quinceanera or Bar/Bat Mitzvah; we are always ready and waiting to pamper you in one of our many different exclusive limousines or party buses. However, the fun does not stop there. We are also able to provide many other luxurious transportation services such as but not limited to: shuttle services to the airport and back, casino tours, medical transportation (as long as it is considered a non emergency), smaller more practical vehicles for personal needs (outdoor adventures, etc.). The Dallas limo service possibilities are literally endless as we can furnish just about any adventure you can dream of experiencing. Now is the time to live your life and feel like you are on top of the world. There is no better feeling than arriving fashionably late at either a school dance/prom or even a bar for a bachelor or bachelorette party. Imagine walking out of the limo or party bus with your head held high knowing every eye is fixated on you wondering if you are famous or how they can join your entourage. But alas, they did not book an affordable adventure like you did, so all they can do is dream and watch you drive away as you wave goodbye to them through the moonroof! We have the best party buses Dallas has to offer! We also carry the best options for a party bus Fort worth could ask for! call us to find out how much is a limo today! 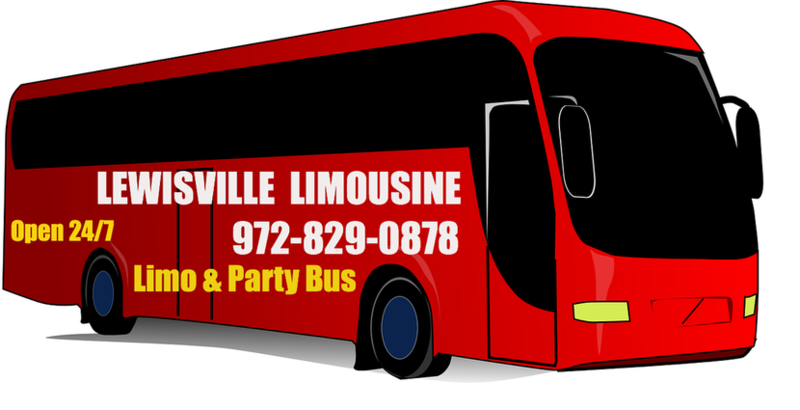 Lewisville Limousine makes the process of booking a party bus rental very easy every step of the way. We will guide and help you understand everything until you feel good and at ease you made the right choice by letting us be your first choice for all of your limousine and party bus Dallas specific needs. Just think, you are one call away from being the envy of everyone else on the open road. With the help of Lewisville Limousine, you no longer have to imagine yourself living the lifestyle of the rich and famous, but you can actually know what it feels like to enjoy the finer things in life! It does not matter if you live in apartments in Lewisville Tx, all you have to do to get started is call us 972-829-0878 or book a limo by filling out the form up above and you will be one step closer to a limo rental Dallas style! ​We provide our premier services on either an hourly rate or through many different affordable packages. So again it does not matter if you live in a high rise condo or in some modest apartments in Dallas, or apartments in Arlington TX, as we will treat all parties equally with the same enthusiasm and respect! We even provide our amazing limo service Fort Worth and abroad! We have some of the most competitive rates that are going to be extremely hard to beat! We did this because we know that there are memories waiting to be had and should not be neglected out of assuming that renting a party bus or limousine is just way too expensive or out of your budget. We truly want you to let go of all of the stress and anxiety that can sometimes come with organizing an event or party. Let our experienced planning team help make the most out of your transportation adventure. No matter your financial status, we do not discriminate against anyone looking to be a part of the Lewisville Limousine adventure. 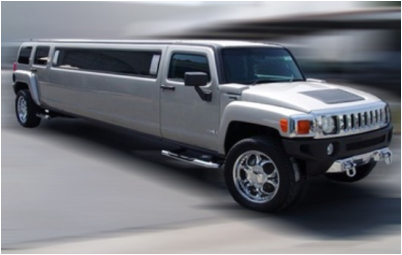 We have worked very hard to create some packages (Hummer Limo, Party Rentals,Town Car Service, Charter Bus, Limo Party Bus, Rental Car, Airport Car Service as well as Airport Shuttle Service, ) that will provide you with unforgettable memories at an affordable and competitive rate that will not break the bank yet make you feel like you own the bank! We do not provide our amazing party bus limos just to the Lewisville, Texas area. We proudly offer our limo service Dallas metro area as well as all of the surrounding suburbs and cities (Fort Worth, Flower Mound, Arlington, Allen, Carrollton, Denton, Plano, Highland Village, Colleyville, Coppel, The Colony, Corinth, Frisco, Little Elm, McKinney, Grapevine, University Park and South Lake). Therefore we will come to you wherever your transportation needs are. We could go on and on about our private and luxurious world class service, but we feel you could learn that for yourself by calling us. Book your next Party Bus or Limo!